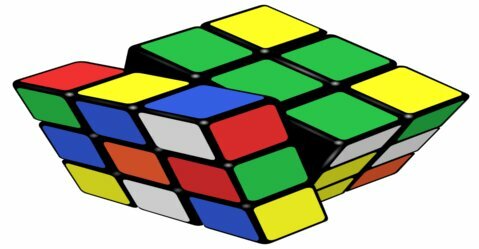 Kristen Sharpless is a student and has designed a Rubik's Cube that can be used by people with vision impairments. Kristen is a graduate student from the University of Massachusetts in USA and created the Rubik's Cube as part of a project. She then posted about the tactile cube online and received a lot of positive response. Her Rubik's Cube design is very simple yet useful. Kristen used buttons, stickers and other 3D objects and put them on the 6 sides of the cube creating 6 different textures. People with vision impairments can feel the 6 sides and solve the cube to match the different textures.